Coffee: The monthly Village Hall Coffee morning will be today (Friday) for a chance to meet and catch up. Carole’s Cards and Chris’ Petfood will be on offer. Fellowship Sunday: On Sunday 29th, St Mary’s Church invites you to join in a worship service at 11am followed by a Village Quiz and Picnic. There will be coffee before the service from 10.30am or you would be welcome to join in the quiz from about 12. The quiz will cover the immediate village, returning to the church to eat your picnic (please bring your own). 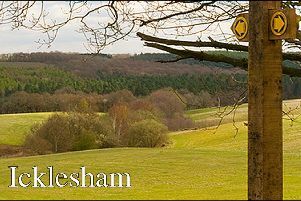 Footpath Group: For a longer walk, join the Footpath Group for a 5mile walk from Stonegate. Meet in the surgery car park at m1.15pm to start at 2pm from Stonegate Village Hall. Chitiwiri: Contact Sally and Richard to dispose of your bric-a-brac for their garage sale in aid of Chitiwiri which will take place on Saturday 4th August this year (alongside Northiam Village Hall Trust’s Summer Fair). Call (0790 333 8614) to clear your home and fill her garage! The Sale will be from 9am to 4pm at Forge House (opposite The Muddy Duck) and will include the sponsorship calendar for the feeding programme in Chitiwiri which feeds 1000 children each day from sponsorship of £45! Summer Fair: Northiam Village Hall Trust will be holding their Summer Fair on the Playing Fields on Saturday 4th August. At tractions include the Ukulele Group and Rep Tylers, Fun Dog Show, WI Teas, Saheb’s, Bar and Food Wagon. Along with stalls from village societies, there will be the big boot fair and classic cars and bikes on display. To book craft, charity and boot sale pitches call 01797 253112 or 252152. Helping Hands: Don’t forget that Helping Hands is there to offer just that on occasions when a little extra help is needed. If you need help, big or small, call 07522 473173 and the person at the end of the phone can let you know if it’s something they can help with, and what they can do.